Emirates Airlines will suspend Abuja-Dubai operations beginning October 30, 2016. In a related development, East African carrier, Kenya Airways, has also announced it would suspend flights to Abuja effective November 15, 2016, as part of its restructuring and loss-saving efforts. It will be recalled that Emirates, some months ago, ran four flights daily on the Nigerian route, two apiece, from Abuja and Lagos. With the scarcity of foreign exchange and partial devaluation of the naira, last June, it began to reduce flight operations, while the likes of Iberia and United Airlines, among others, withdrew services. 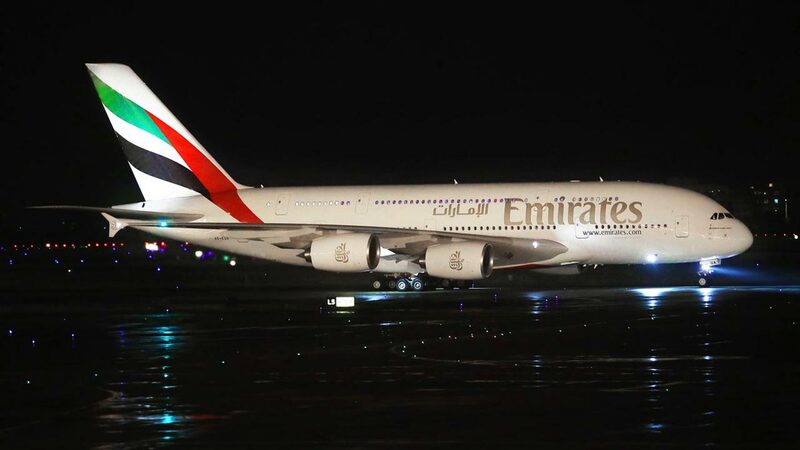 It was gathered that Emirates has formally written to the Minister of State for Aviation, Hadi Sirika, on plans to stop flight operations to Abuja. The development might, however, not be exclusive to Nigeria. President of the airline, Tim Clark, at an International Air Transport Association (IATA) event in Dubai, yesterday, said Emirates could reduce the frequency of its flights to African cities or cut routes completely, if current economic and financial challenges on the continent continued. Clark said foreign airlines flying to Africa now refuel abroad because jet fuel supplies had become more expensive and scarce. “In certain African countries, the currencies have really gone down, so we’re reflecting on a number of these to look at where it’s just not worth the travel,” Clark said. He added that Emirates’ load factor – a measure of capacity utitlisation – for the rest of 2016 and 2017, would probably be in the mid-70s to low-80s in percentage terms. In the wake of the new foreign exchange policy of the Central Bank of Nigeria (CBN) in June, foreign airlines operating in the country were estimated to have lost about N64 billion repatriating 50 per cent of the $600 million stuck in Nigeria. President of the National Association of Nigeria Travel Agencies (NANTA), Bankole Bernard, said the policy and economic crunch came with huge negative effect on travel agencies and airlines, the reason they are suspending operations in the country.